The Batman-less Joker movie continues to build up steam. 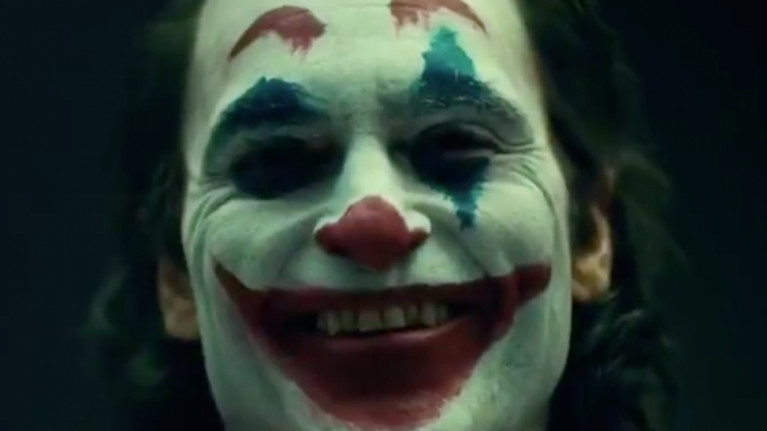 Earlier this week, we got the first look at Joaquin Phoenix in full Joker make-up. 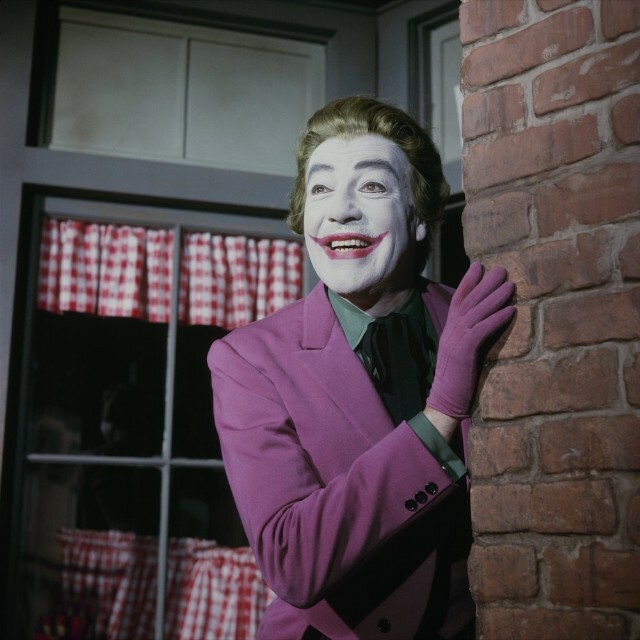 The movie – just titled Joker – stars the Walk The Line actor as Batman’s greatest villain and will provide a backstory to the clown prince of crime set in the early 1980s. It looks like it is going to be a very stripped back take on the Gotham mythos. Phoenix just looks like a regular dude in the first official images, and his clown make-up is very simple and traditional, nothing like that of Jared Leto or Jack Nicholson. Now TMZ have some leaked on-set footage, that shows Phoenix in full costume. The short video shows a disturbance on a subway train, with several guys – presumably henchman – in clown masks. In the middle of it all is Phoenix, wearing a clown mask over his clown make-up for some reason. Just Jared has some more close-up photos of him in costume. 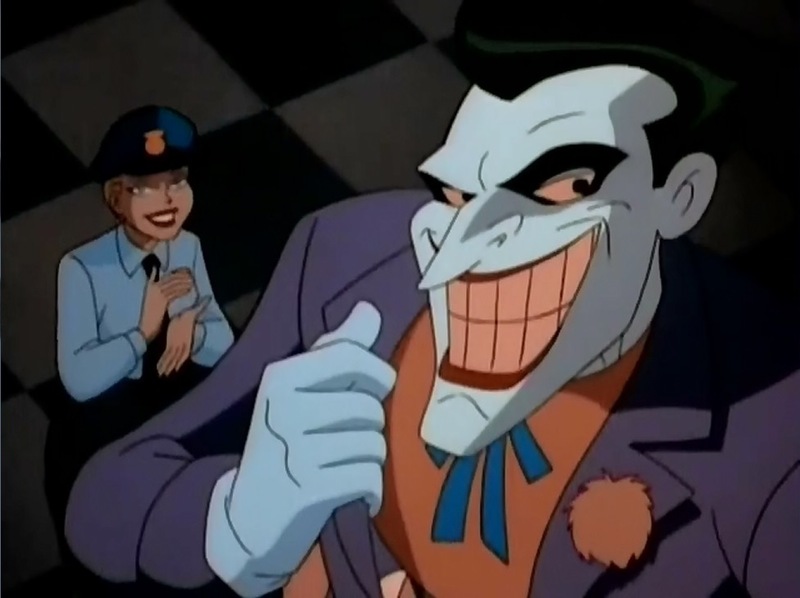 Phoenix’s outfit seems to be a very tradition Joker suit – he has the purple jacket and yellow costume, that resembles both the Joker from the 1990s animated series, and Cesar Romero’s portrayal from the 1960s TV show. Joker will be directed by Todd Phillips - of The Hangover fame. Martin Scorsese was initially involved as producer, though he later dropped out. Joining Phoenix in the stacked cast are Robert DeNiro, Zazie Beetz and Marc Maron.